The powerful storm follows the deadly typhoon Mangkhut, which struck six weeks ago and left more than 100 dead. 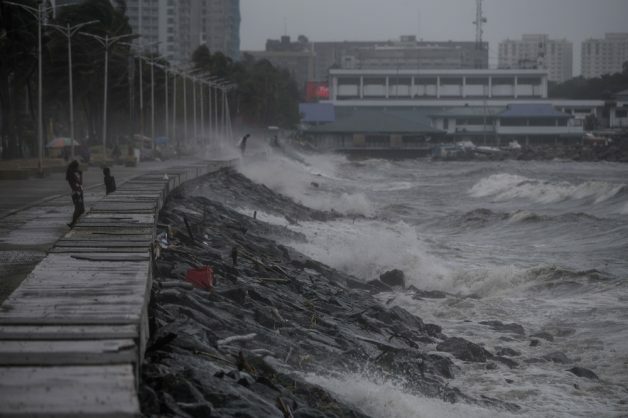 Typhoon Yutu slammed into the Philippines Tuesday with fierce winds that sheared off roofs and snapped trees, after thousands were evacuated ahead of the powerful storm’s arrival. Cutting a path just south of last month’s Typhoon Mangkhut, which killed dozens, the new storm tore across the Philippines’ most populous island, dumping heavy rain along the way. Nearly 10,000 people fled their homes ahead of Yutu’s arrival because they live in low-lying areas susceptible to flooding.